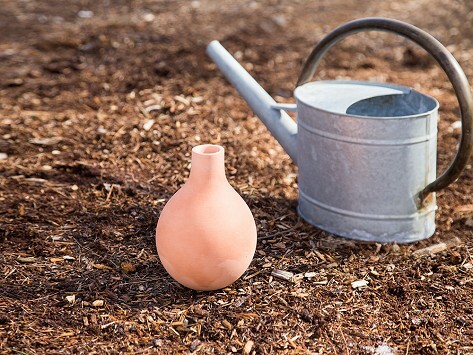 It can be easy to forget to water plants and we often waste water when we do. GrowOya solves both issues, elegantly. This terracotta watering system simplifies—and improves—the process of caring for your plants. Simply dig the Oya into the soil (with the spout exposed) and fill it up every few days. Boom . . . you’re done. The Oya and your plants work together to do the rest. The Oya’s porous terracotta material releases water slowly near the roots, where it's needed. This method saves a LOT of water (up to 70%) because it reduces runoff and evaporation. Put one or more pots in places that the hose or sprinklers can’t reach. Or use them anywhere and everywhere for effective, efficient watering. Founder Josh McWilliams wanted to water his rooftop garden sustainably. 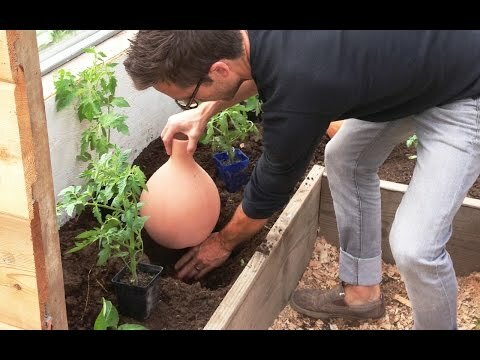 So when he discovered the “olla” (pronounced ‘oya’), an ancient way of gardening with terracotta pots, he saw a chance to change the way people care for their gardens today. Fellow Founders Kenny Torrance and Brant Cheetham joined and GrowOya was born.